Medicinal marijuana research and interest is at an all-time high, and a substance known as cannabidiol, abbreviated as CBD, has opened another layer of discussion in congress and the medical community. While marijuana and the associated active ingredient known as THC is what the average person is most familiar with, the other potentially more potent chemical found in marijuana, CBD, is the topic of conversation lately. Unlike THC, CBD does not present the same side effects and is gaining much more momentum in gaining funding and interest from researchers. Here’s a short guide about cannabidiol. One of at least 60 different chemical compounds found in cannabis, CBD is the second most prevalent one present, but is found in highest concentrations for strains used by commercial medicinal marijuana growers. There are particular strains that have reduced THC levels to insignificant levels and CBD concentrations high enough to cultivate very impressive results in the medical community. The so-called Charlotte’s Web strain is a Cannabis sativa that made headlines for its very high CBD potency, which is used to cure epilepsy in children. Its effectiveness has been so pronounced that it was able to secure legalization in various states, such as Florida, where all other forms of marijuana are still illegal. Since users won’t experience any “high” or side effects associated with marijuana, the CBD strains can be used by virtually any age or under any health condition without fear of losing psychological or motor functionality. Despite their differences, CBD and THC carry similar benefits and preventative properties. Some of the most immediate treatments that have been proven include the reduction of seizures, by drastic amounts. For children who suffer with chronic seizure activity, CBD is a miracle. Hyperactive and psychotic patients also see a dramatic reduction in their over-activity in the brain, without turning said patients into a comatose state, as with most prescription drugs. The most promising future for CBD use comes in the field of cancer research. It is said to directly interrupt tumor and cancer cell growth, although the research done so far is very limited. For those suffering with cancer and multiple radiation and chemotherapy treatments, cannabis is the only promising medication out there. Clinical trials of CBD-based drugs are already well underway, from possible treatments for schizophrenia, epilepsy, breast cancer, and more. There is even research being done to see how CBD reacts with THC, offering a potential treatment to those who get too high. It sounds a bit funny on the surface, but people who aren’t heavy smokers or happen to ingest too much THC through edibles would probably like to have a counter-high prescription to bring them back to normal functionality. All of these studies and trials are coming with fervor, as the marijuana taboo wanes and more pioneers see major opportunity for business and in health. Unfortunately, the fight is a long road, as long as marijuana stays a Schedule 1 drug in the U.S. and completely barred in many countries that are developed and ready to contribute to research. 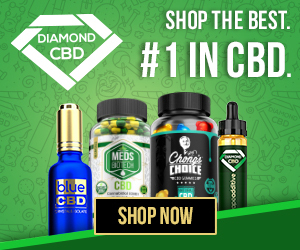 CBD Oil Vape Benefits – Does it Work? Don't get screwed by vendors online who sell you bad CBD. We've run the lab tests and it'll SHOCK you.